In some buildings, the importance of quality noise mitigation goes overlooked . until people move in. A condo at this wood-framed building sits directly above an elevator pump, with little in the original building design to separate them. Day and night, both noise and vibration filled the condo every time someone called the elevator. Archon Associates needed a partner with the expertise to identify the sound path and help bring the condo’s noise criterion rating down to a comfortable level. 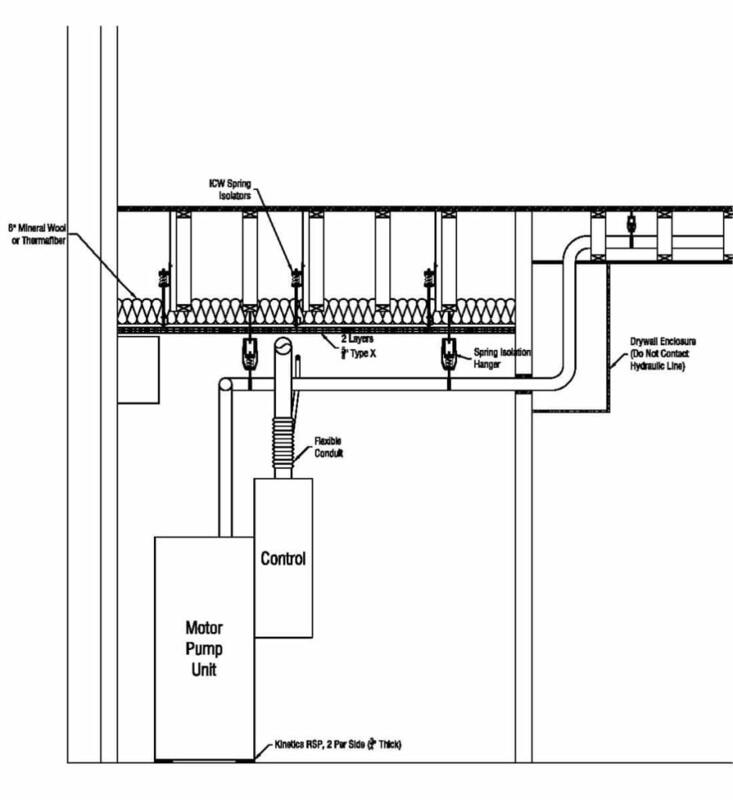 Using our purpose-built testing equipment and analysis software, our engineers identified all paths through which noise or vibration could travel in the materials separating the condo from the mechanical room. 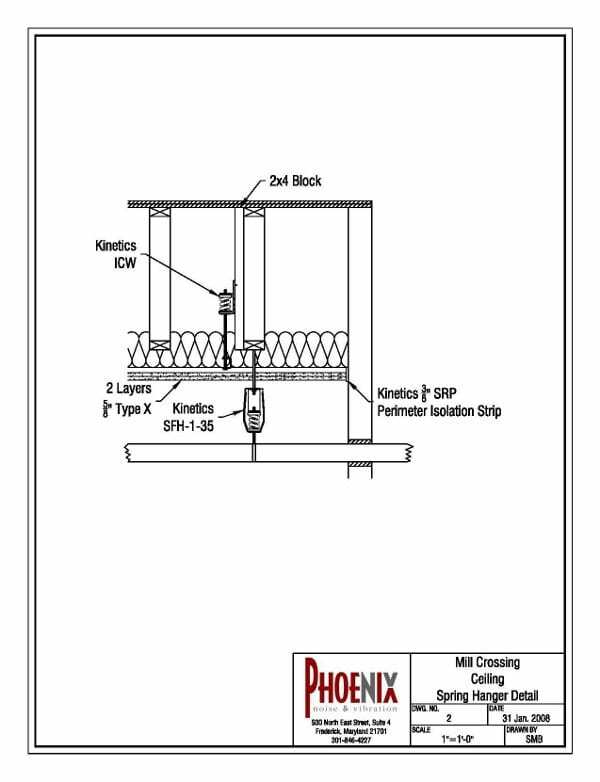 Phoenix Noise and Vibration’s resulting design (see figure 1) isolated elevator components from nearby walls and helped the mechanical room minimize airborne noise. Multiple construction site visits helped us keep a close eye on the design’s implementation to ensure it worked as expected. Our plans cut unwanted sound in the condo by nearly half. As post-construction tests confirmed, the unit’s noise criterion rating during elevator operation dropped from 37 to 19. Most importantly, the people living there stated the noise and vibration no longer had an impact on daily life in their home.